From Printing Press to Twitter: What makes a technology pro-democracy? Not all information technologies are created equal for the purpose of driving democracy. What are the factors that make a technology pro-democracy? We’ve heard a lot about the role of social media, text messaging, and mobile phones in the uprising in Egypt. A lot has been said to credit them with fueling or at least organizing the protests and with getting word out to the outside world. On the flip side, Malcolm Gladwell, Frank Rich, and Evgeny Morozov all cast doubt on the importance of social media in Egypt and in last year’s protests in Iran. It’s clear that Facebook, SMS, and Twitter have played a role in Egypt in organizing the protests. Maria Bustillos also makes an excellent point that they provide value in informing the world of what’s happening. That was the case in Iran. It’s also been the case in Egypt, where, for example, tweeters on the ground were the first to state that pro-Mubarak protesters were found carrying police IDs and were effectively thugs of the regime rather than organic protesters. A rebuttal is that during the period when the internet was cut off in Egypt, the protests grew. It’s clear that, at that stage, they no longer depended on Facebook or twitter for their momentum. Of course, by that time, the internet and SMS had already gotten the ball rolling. Everyone in Cairo knew that protests were going on in Tahrir square. And the cutoff of internet service on further demonstrated that something big was happening, and that the powers-that-be were willing to tighten their control to try to stop it. That’s fuel for the flames of democracy. Revolutions happened before social media, of course. Word of mouth is an effective technology for spreading ideas on its own. Early democratic revolutions also employed the most powerful information technology of their era: the printing press. Thomas Paine’s January 1776 pamphlet Common Sense was tremendously influential in persuading American colonists that they should rebel against Britain. French revolutionary pamphlets played a similar role in the French Revolution of 1848. Information technology has been used for revolutionary purposes since at least 1517, when Martin Luther’s 95 Theses pamphlet undermined the Catholic hierarchy and kicked off the Protestant Reformation. Pamphlets were the blog posts of the pre-internet age. Nailing one to a door was the equivalent of a tweet. Not all information technologies are created equal for the purpose of driving democracy, however. What are the factors that make a technology pro-democracy? Here is my list of 7 factors. Authoritarian regimes need to control the conversation. Technologies that allow a greater diversity of voices, by turning more people into publishers, inherently undermine that control of the conversation. Dictators love centralized state media. It allows them to get their message out without risk of rebuttal or dissent. They can saturate the airwaves and newsstands with the information they prefer and the slant they prefer. For this reason, television, radio, and to a lesser extent newspapers fare poorly on this axis. Single voices in media centralize control. On the other hand, peer-to-peer communication mechanisms like SMS, email, blogs, facebook, and twitter do well. They distribute the power to communicate much more horizontally through society, leading to a diversity of voices and undermining centralized control. Egyptians take pictures and video with cell phones during protests in Cairo. Diversity of voices undermines central control. Al Jazeera does demonstrate that it’s possible for television to be pro-revolutionary. Of course, Al Jazeera is not based in Egypt and doesn’t transmit from inside the country. What’s made it powerful is its distribution via satellite, which allows it to span national borders. Satellite TV receivers give TV viewers more choices of what to watch and undermine the efforts of dictators to reduce the number of available voices, so we’ll give them a special star. The more people a message can reach, the more powerful it is, for good or ill. The best communication technology on the planet, if it is optimized for 1-to-1 communication, will be less effective in promoting democracy than a slightly worse communication technology aimed at getting messages out to large audience. SMS and Email are fantastically effective communication technologies, but they suffer from being optimized for 1-to-1 or 1-to-few communications. It’s more effort to email or text a thousand people than it is to tweet once and let that reach a thousand (or many more) people. Nevertheless, it’s certainly possible via those two technologies. Television, Radio, Blogs, and Tweets are all inherently 1-to-the-world, and Facebook just a bit less so, and that increases their power. How much work is it to get a message out? The less effort required, the more content will get out, especially in times of high stress or danger. Less effort also means messages get out more quickly, facilitating a conversation, and usually with fewer people involved in editing or polishing the message. Simple text based messages like twitter, facebook, email, and SMS are king. Almost zero-overhead publishing increases the number of reports and messages, and makes them realtime. Image posting and video posting via those services or YouTube is only fractionally higher overhead in that they require better phones or other equipment and higher bandwidth (an issue in Egypt today). Newspapers, Radio, and Television are at the bottom of the pile, with high overhead the reduces and delays the messages. Effective technologies for democracy allow others to boost their signal by distributing them further. An effective email, text, tweet, or blog post can be redistributed far beyond the audience of the person who authored it. This has important consequences. It means that the message becomes liberated from the author. A previously unknown tweeter with something smart to say can find it distributed to a million people, if the message is smart enough. Virality increases the explosive power of memes by allowing any of them to grow to epic distributions. And it levels the playing field in terms of audience, as even someone with a tiny audience has the potential to reach the world. Virality, along with number and diversity of voices, is a prime differentiator between broadcast media like TV, Radio, and Newspapers and all of the new media. Blog posts, tweets, Facebook posts, YouTube videos, and emails circle can go from humble origins to circling the globe in minutes or hours, and thousands have in the past week. Twitter, with its default assumption that Tweets are public, and with its model of “followers” rather than friends (which allows some Tweeters to have direct audiences of over a million) is the king of virality. And because blog posts, YouTube videos, and so on can be tweeted, it lends its virality to other media. The ideal pro-democracy information technology would also be difficult or impossible to censor. In Egypt the regime turned off the entire internet for two days. A more thoughtful filter could have disabled Twitter, Facebook, and services like them. China is far more sophisticated and effective in their net censorship. The Egyptian regime also found ways to block the satellite television signal of Al Jazeera. Almost all electronic communication is susceptible to censorship on the scale that the Egyptian government practiced for a few days. For subtler censorship, that seeks to filter out specific sites, there are tools to work restrictions. One of the best known is Tor, free software which encrypts your internet traffic and routes it through a distributed network of computers run by volunteers. Tor won’t help if the entire internet is disabled in a region, but it helps in situations like China and Iran where censors seek to block specific sites. In a totally free society, anonymity might not be necessary. Anonymity, after all, has its downsides. Anonymity protects individuals from the consequences of their actions. In a well running and free society, anonymity can be used to commit crimes or engage in legal but socially disapproved-of behavior that wouldn’t happen if the person’s reputation were at stake. Reputation also has a tremendous number of benefits to society, in terms of establishing credibility and track records which other individuals can use in determining how to engage with an individual or organization. In a totalitarian society, anonymity is very different. When reprisals come for simply speaking out against oppression, or pointing out government corruption, anonymity is a valuable tools. It helps whistle blowers, amateur journalists, and others stay alive and safe long enough to help a movement get to critical mass. None of us live in totally free societies, and none of us knows what might happen in our societies a generation or two down the road, and so I maintain that anonymity is an important tool to maintain everywhere. In totalitarian states, it is even more clearly vital. Online tools are not so anonymous by default. Authorities in both Egypt and Iran have apparently used Twitter and Facebook to track down activists and arrest them. Nevertheless, if used carefully, services like Twitter, many blog-hosting services, and many email services can provide a degree of anonymity. The risk in each case (in addition to unwittingly giving out identifying details) is that the operators of the services themselves have information on users of their services that can be used to track them down. The Tor software I mentioned earlier combats this, by hiding where you are connecting to a web service from. Television and Radio are seldom anonymous, for obvious reasons, though they do have exceptions. Newspapers vary. Underground newspapers with anonymous authors have been published from time to time. Thomas Paine’s Common Sense pamphlet was originally published anonymously, as were other pamphlets of the American Revolution and the French Revolution. Yet the necessity of having a printing press and a physical distribution mechanism puts physical paper dissemination at greater risk of discovery. The final factor is how many people actually have the technology and the ability to use it. Printed pamphlets are useless without literacy. Twitter is useless if no one has computers or cell phones. The printed word, television, and radio are now nearly ubiquitous. SMS is not far behind and has the advantage of being with people wherever their now-ubiquitous cell phones are. The cell phone is now the ubiquitous peer-to-peer communication technology. Email, Facebook, YouTube, and Twitter are sadly still behind in adoption. Evgeny Morozov points out that at the start of Iran’s “Green Movement” protests in 2009, there were less than 20,000 registered Twitter accounts in the country. No democratizing technology, however effective (as Twitter could be) will succeed with such low penetration. Broad availability is not necessarily pro-democracy. If a communications technology is dominated by a single voice, broad availability simply increases the volume of that voice, and turns the technology into one of control rather than one of liberation. 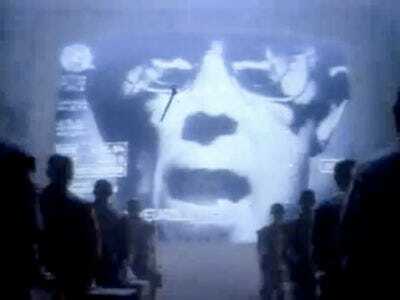 With only a single voice, heard everywhere, you have 1984. The perfect pro-democracy communication technology of today would have the diversity of voices, low overhead, and virality of Twitter, with built in anonymity (for those who choose it), a way to route around censors, and broad adoption well beyond what Twitter has today. In the meantime, are communications technologies pro-democracy? Some are. Television, Radio, and Print have the potential to be, but can become dominated by dictators who use them to amplify their own voices. The technologies that empower the greatest number of voices to reach the greatest number of listeners in the most voluntary, viral, and bottoms-up manner are those that will have the most positive impact on democracy. Print once filled that role. We are witnessing the rise of SMS and the Internet, which are already more inherently pro-democratic than any information technology before them, and which are still growing into their tremendous potential. Hillary Clinton argues for net freedom as a basic right, days before the Cairo protests. Four days before the unrest broke out in Egypt, Hilary Clinton made the case that access to the internet and other information and communication tools is a basic right. Secretary Clinton sees it clearly that as the ability to access information and communicate their own thoughts disseminates through society, it exerts an inexorable liberalizing and democratizing force on the world. The technologies of the net, with their plethora of voices, and fundamentally more supportive of democracy than the centralized and top down technologies of television and radio which they are now supplanting. The rise of many-to-many, peer-to-peer communication tools should give us hope for the future of freedom around the world. “In the book, Shirky recounts how social tools such as blogging software like Wordpress and Twitter, file sharing platforms like Flickr, and online collaboration platforms like Wikipedia support group conversation and group action in a way that previously could only be achieved through institutions. In the same way the printing press increased individual expression, and the telephone increased communications between individuals, Shirky argues that with the advent of online social tools, groups can form without the previous restrictions of time and cost.